We’ve ranked thousands of local businesses. Your clients are next. A methodology driven by results, built by us, delivered by you. Our white label local SEO services combine citation building, effective on-page SEO, and natural link building for long-term results for your clients. Make it easier for your clients to be found in their area. By targeting people looking for your clients, they get ready-to-convert leads. Put your clients on the map and give their local awareness a boost while building their online reputation with our local SEO reseller service. All the best local SEO tools and features your clients need to be successful in one package. Which keywords should we target to increase your client’s exposure? We find the best keywords to rank your clients on local search. Their brand on the sites where their customers are visiting. Popular local blog? Yup. Local news website? There too. Our local SEO packages feature organic links that reach a targeted audience beyond local. Ideal for clients who generate revenue online. Blog posts, PDFs, press releases, the works. Well-researched and quality content that makes you look like a seasoned vet. 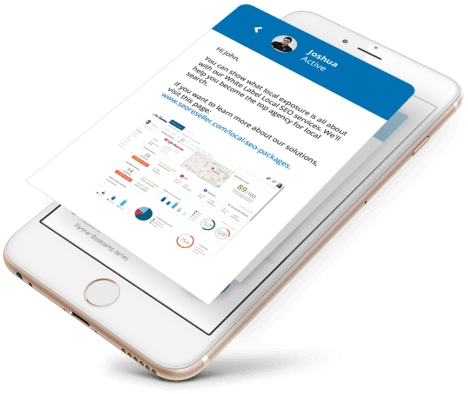 Our local SEO package includes a one-stop agency SEO dashboard with goal-oriented data and tools you need to monitor performance. It’s your logo and your clients’ information provided by our technology. Our extensive collection of brandable resources and marketing collateral supplement your digital business and provide you the arsenal to sell services with more confidence. 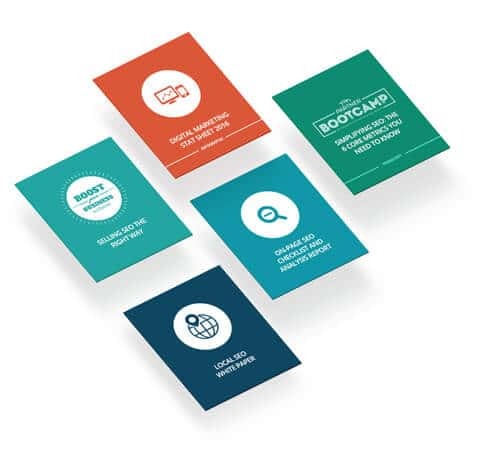 Everything you need to expand your knowledge is available in our Resource Center – from white papers and case studies, to training materials and sales guides. Give your clients an experience like no other. Leverage on our Local SEO Experts to master the first page of Google, and deliver the results your clients need. to suit the varying sizes and goals of your clients. Good for businesses just starting an online presence and can’t handle the traffic that other packages will bring. Twice the optimization and local listing exposure. Comes with a taste of off-page SEO – their brand out on the web. Four times the optimization and local listing exposure. Real traffic and results. Enough to get them close to the top. For clients who want top of the page results. Tons of optimization and local listings plus high-quality off-page SEO. Rest easy. The right tool can help. 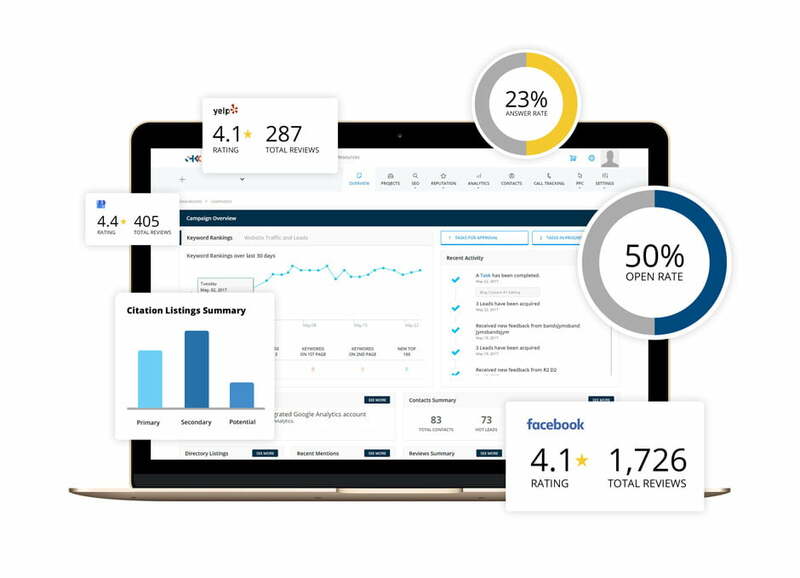 Our 4-in-1 Reputation Management Dashboard is that tool. Nobody likes missed opportunities. Especially when those opportunities mean missed business. Monitor all your local listings in one place. Who said what about your client’s business? 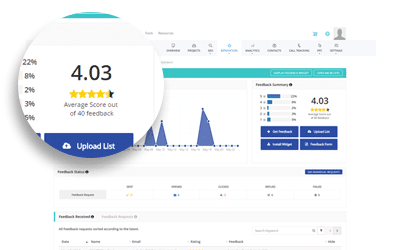 Stay on top of customer reviews on all the popular review sites. Receive alerts when someone posts a new review. 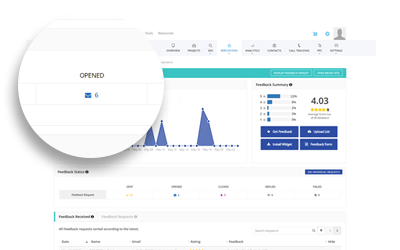 Share positive reviews across platforms and generate real reviews. Unfair negative reviews? It happens. Respond to and suppress them with the Review Generator. Good or bad, your client’s name can be all over the web. It’s important to know when and where that happens. 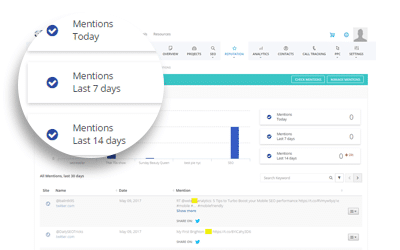 The Mentions Tracking Tool gives you this for the last 30 days. A great proposal is critical to the success of your pitch. 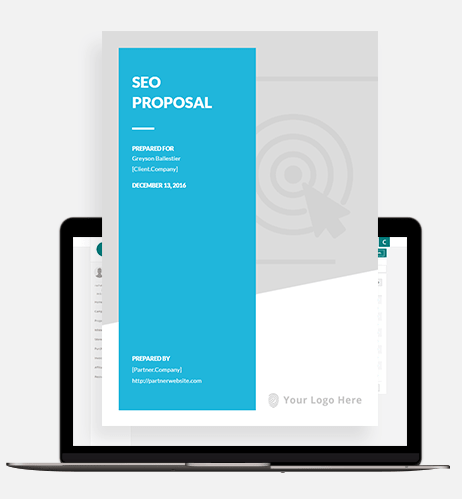 We make it easier with a customized and well-written Local SEO proposal ready in under 3 minutes. How long before my clients see an improvement in their rankings? A typical amount of time your clients can expect to see positive ranking movement is anywhere from 1-3 months. Additionally, your clients can attain first page rankings in an estimated 6-8 months (8-12 months for a competitive market). Our in-house team of SEO experts will assess your project during the keyword and website analysis phase to determine a reasonable expectation. Do I get a discount for your plans? Because we like doing business with your agency, we offer a free platinum package for partners that are able to achieve up to $20,000 worth of recurring business with SEO Reseller—that is a 5% discount on your total spending. Early payments are also rewarded with a discount. Talk to your Project Manager for more details and to take advantage of the offer. No, we do not lock partners in a contract. We’re confident that our services will exceed the expectation of you and your clients and that you will want to continue business with us. Therefore, you do not have to pay a start up fee. Furthermore, if you decide to no longer take advantage of our white label SEO solutions, there are no cancellation fees. Yes, based on the White Label SEO package that is right for your client. The Local Standard package optimizes 5 pages, the Local Silver package optimizes 10 pages, the Local Gold package optimizes 20 pages and the Local Platinum package optimizes 30 pages. For additional information on the different Local SEO packages and their features see our packages page. Prices can be seen after signing up, which is free. Is this the right package for my business? Our white label local SEO package is ideal for small marketing agencies working with small business enterprises who want to focus their efforts on a local niche. 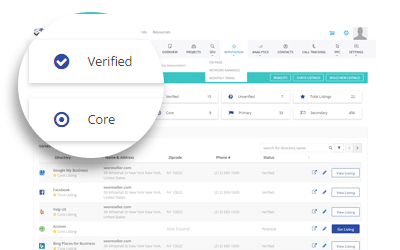 We offer four different packages, all of which come with the 4-in-1 Reputation Management Dashboard, which vary in size and are designed to meet the different needs of different sized businesses and their diverse marketing goals. What if my clients previously used a different provider? We understand that this can be a headache but we have been down this road before and are happy to help you and your client. Our intake and on-boarding process streamlines the transition and acquisition of your client’s campaign. We’ll match the packages of the previous provider with our own packages and we’ll match our packages with your profit margin to ensure your resell price falls within your client’s budget. Yes! I want to see my clients move up the local search rankings!